Click on a topic to visit the recommended websites. Where relevant, we have noted whether a site is a UK or US site - but most of the sites are useful wherever you live, so long as you remember the spelling differences between US and British English. 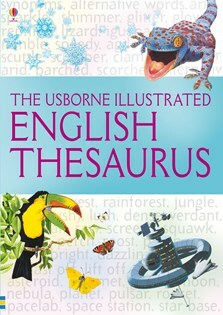 A clearly presented thesaurus with colourful illustrations and helpful suggestions for alternative words to inspire creative writing. Arranged alphabeticallly, and with a guide to parts of speech and choosing and using words. An essential and great value home or school reference book. With internet links to recommended websites containing useful English language resources.